Recognizing that some people want to manage, present and control their own legal matters but face a significant lack of information and training as to the legal system, Pelegrin & Radeff, P.C., is willing to provide “unbundled legal services” providing any or all of the following without formal representation: drafting, document review, coaching, estimation, advice and information on substantive and procedural family law cases on a “by session” basis. This “unbundled” approach, sometimes referred to as discrete task, means that the client can seek assistance limited by the parameters established by the lawyer/client agreement. By way of example, a divorcing party might schedule a conference to review the documents he/she had prepared for appropriateness prior to filing them with the court. Another might request a detailed explanation of the parameters of the child support statute or the strategy necessary to obtain court approval of an out-of-state move with a child subject to a parental responsibilities order. 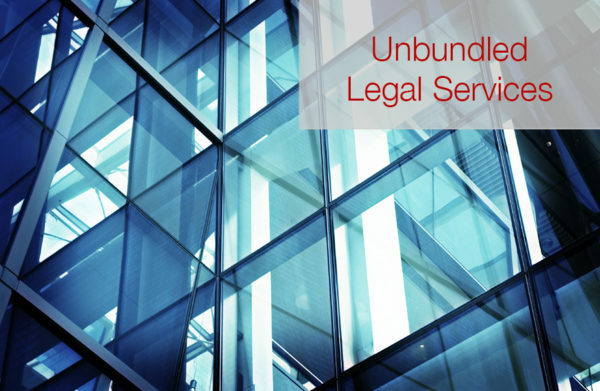 Under the “unbundled” model of providing legal services, the client maintains full responsibility for his or her case. Each session with counsel is limited to the topics agreed to in advance and is paid for at the end of the session based upon the time spent with the client. It can provide significant savings, information, assistance and peace of mind to clients who want to do their own legal work.